5. 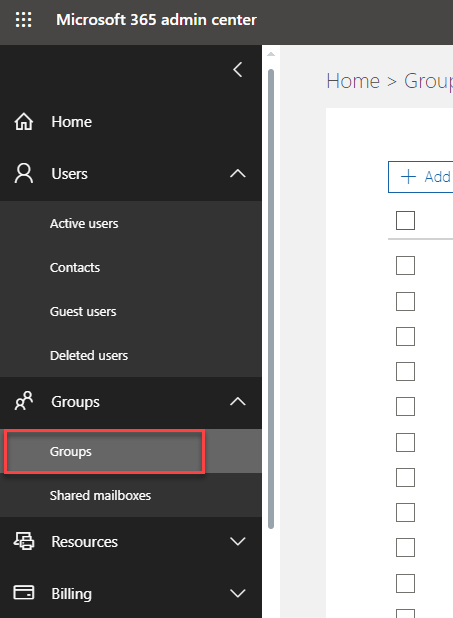 Once a group is created, search for the group and click on it. 6. Click on Edit next to Members. 7. Then click on Add members. 8. 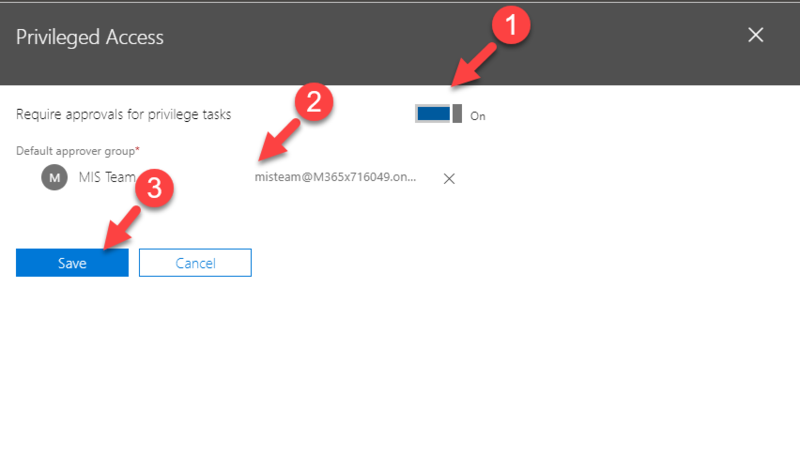 Add the required users to the list and then click on Save. 3. 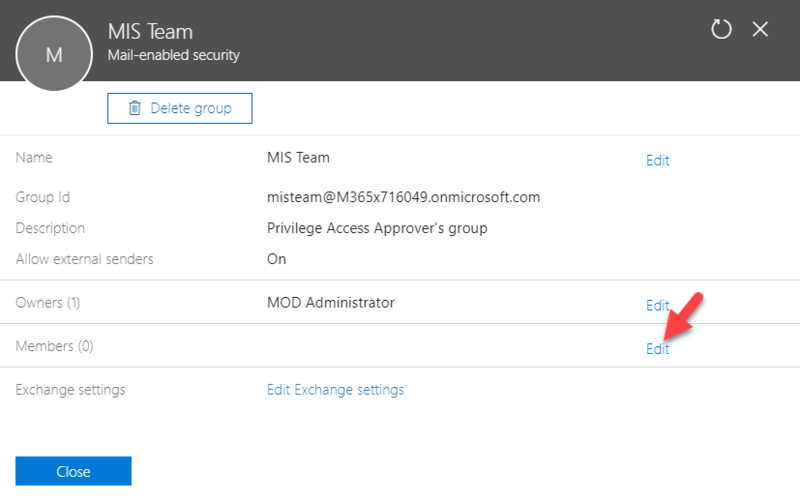 Turn on Require approvals for privilege tasks and select newly created group as default approver group. At the end click on Save to apply changes. The next step is to create a new access policy. you can have up to 30 policies. 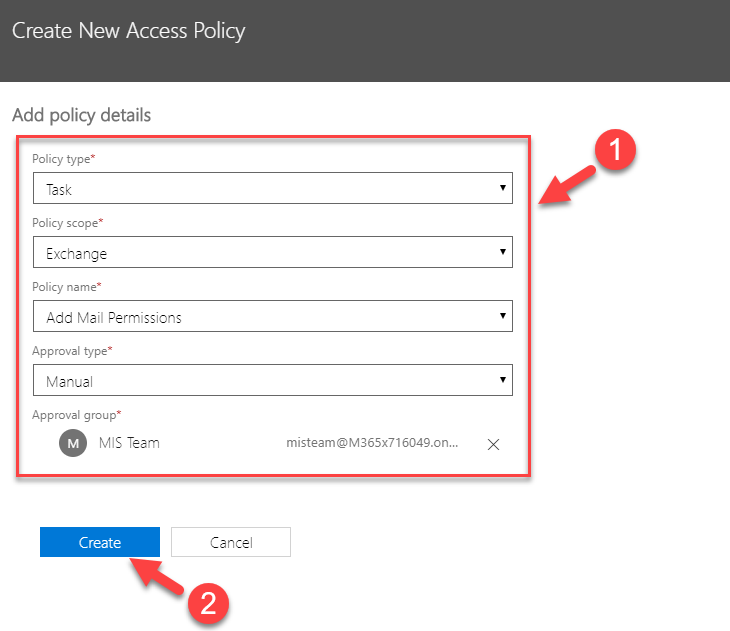 Policy name: This will change based on the option you selected for policy type. 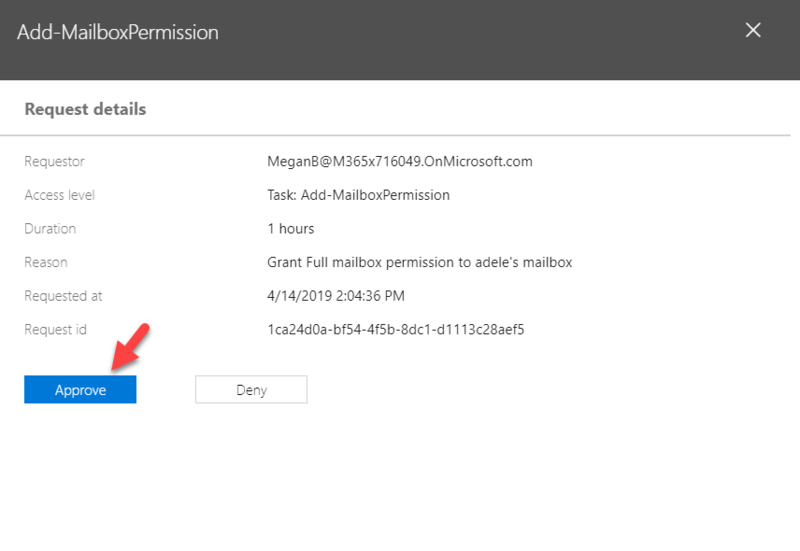 In my demo, I am creating a policy to control mailbox permissions. 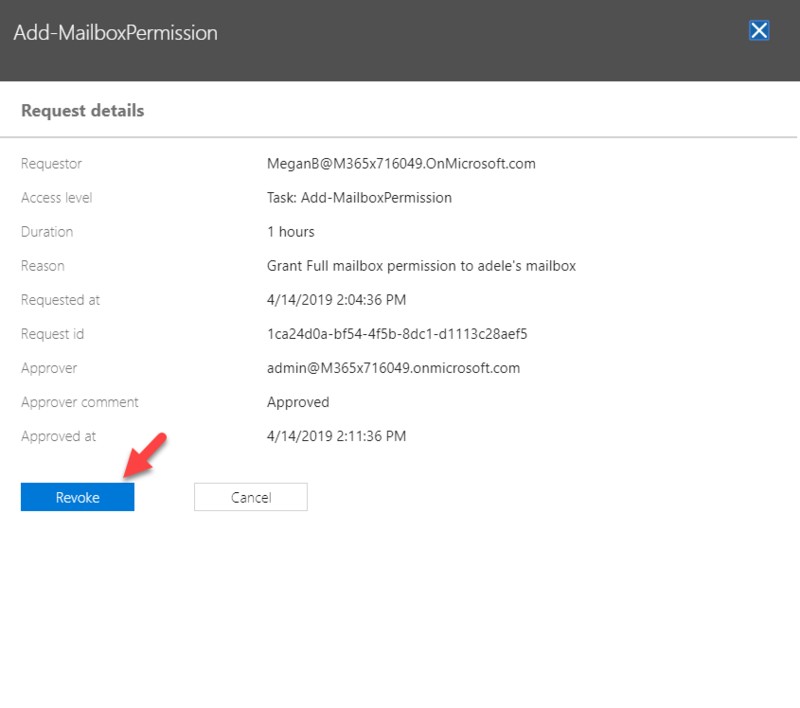 When someone tries to add mailbox permissions it will ask for approval. I set it as a manual approval policy so someone from approval grove needs to allow it. So, let's go ahead and test it. 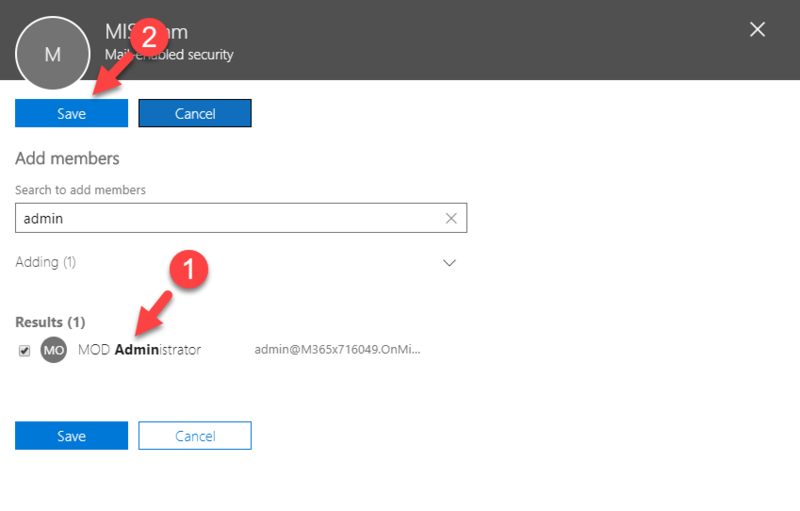 In my setup, I have gone ahead and log in as a Global Administrator to Office 365 portal. 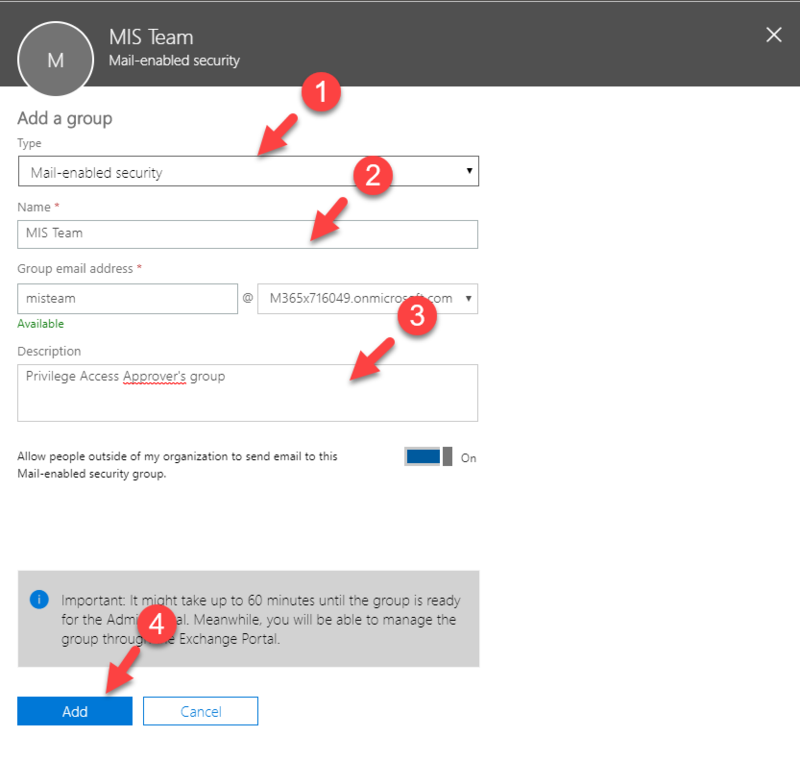 Then I launched the exchange admin panel. 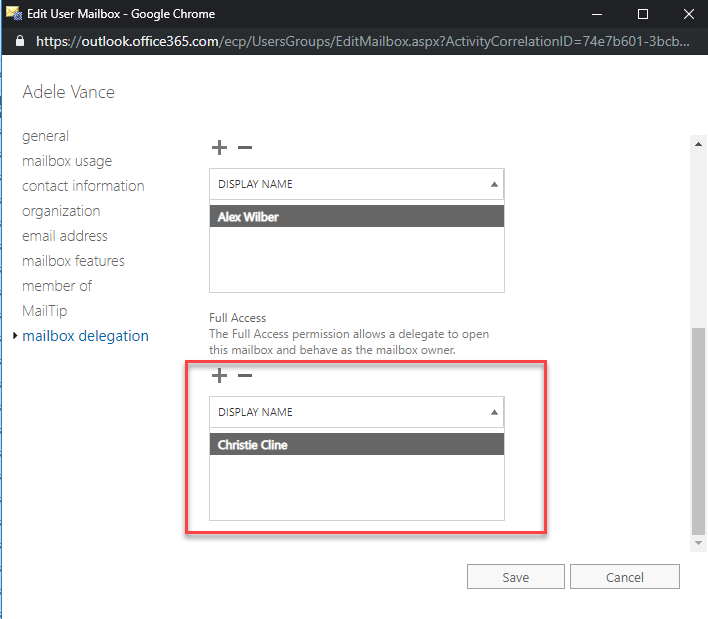 Then I have opened a user account and went to mailbox delegation. 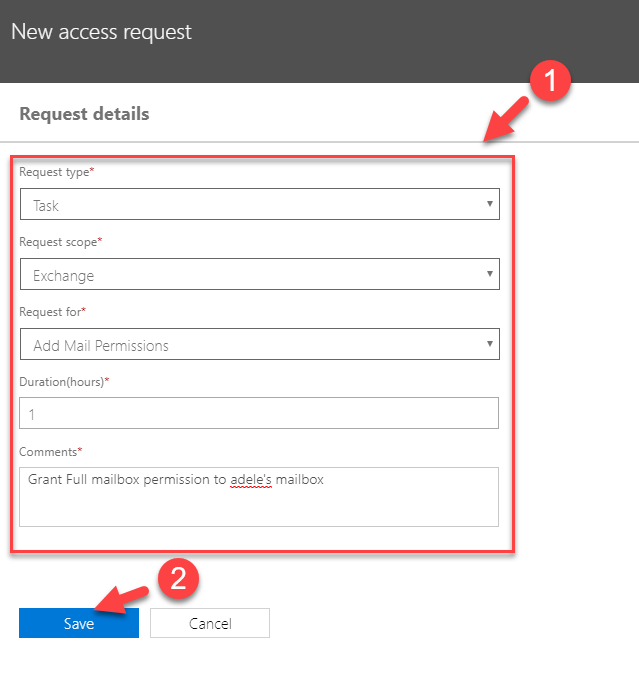 Then I try to add full access permission to a mailbox. Then as expected, it didn't allow. 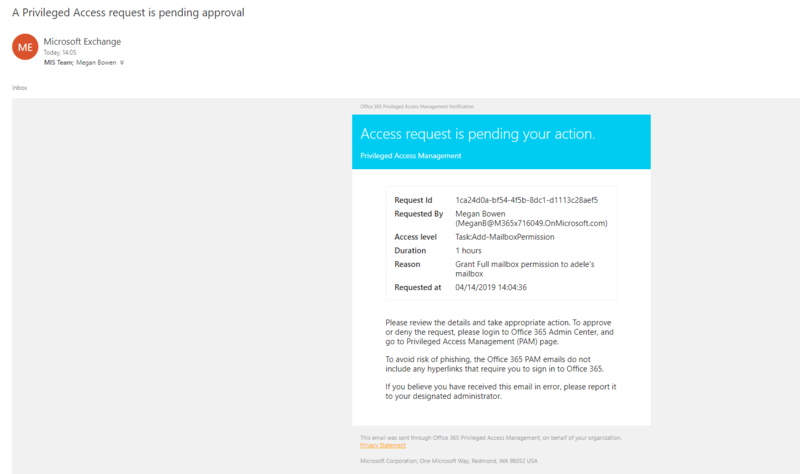 As expected, Users in the approval group receive an email about the request. 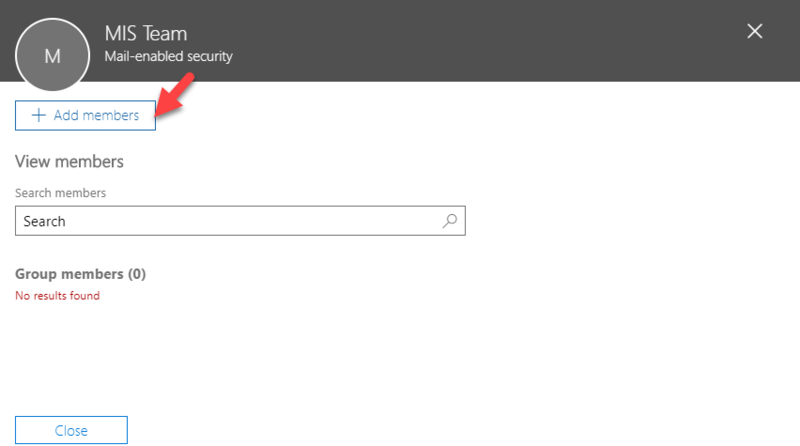 When I log in as approval, I can see this new pending request under Security & privacy window. Then the end user gets an email with the decision. 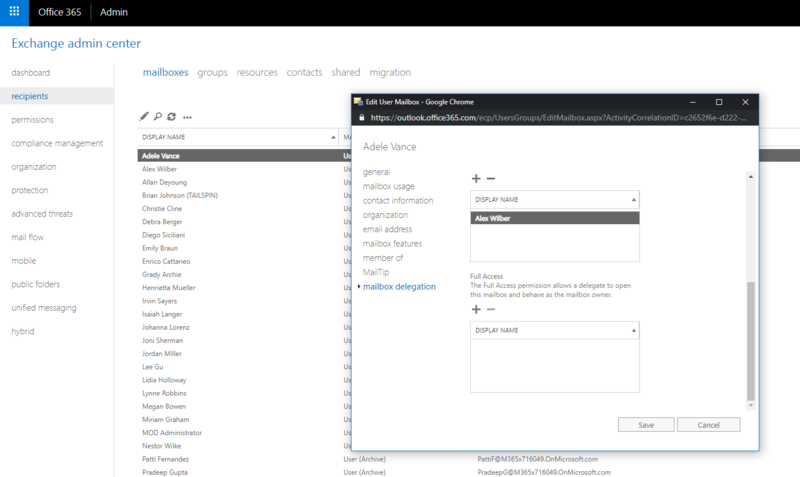 And now as expected, the user can add the mailbox permissions without issue. 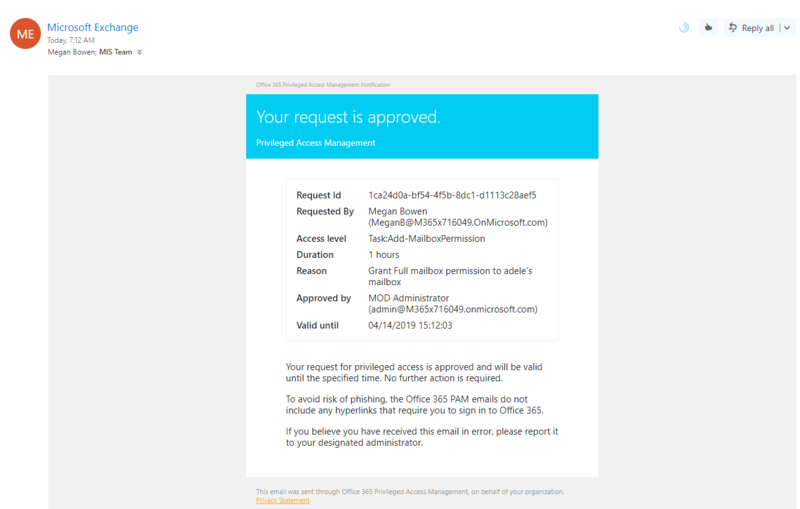 After 1 hour the permissions will be revoked automatically. 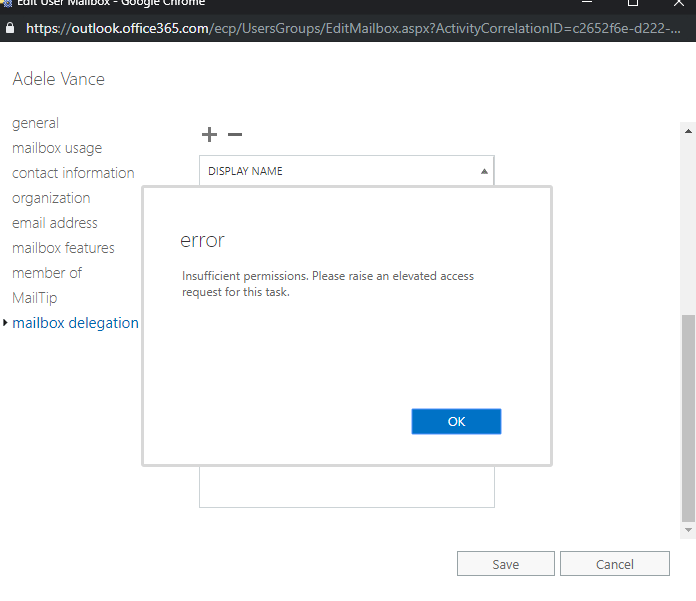 However, if required admin can revoke permissions by using revoke option under the request. This marks the end of this blog post. 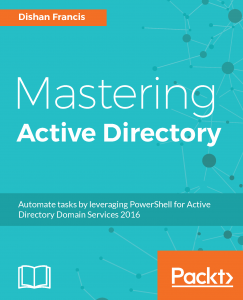 I hope now you have a better understanding of privilege access management in office 365. If you have any questions feel free to contact me on rebeladm@live.com also follow me on twitter @rebeladm to get updates about new blog posts.